While update Facebook profile, the most difficult task is to write your bio. You may be running out of ideas and don't know what exactly to be write there. Telling about yourself is very easy but when it comes to write it in words, some people find it little hard. As your bio reflects your personality, so it should look professional and creative. 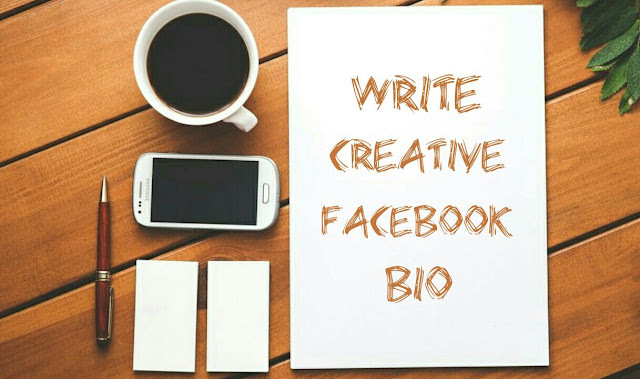 Here we will discuss on how to craft an awesome bio for your Facebook profile. Let's dive into the topic. What is bio and why it is important? Gives more professional touch - The first thing people look for when they visit someone's profile is bio. First impression is the last impression. So if you wants to give a professional touch to your Facebook profile, then make sure that you have an eye-catching bio. Good for SEO - SEO stands for search engine optimization. Imagine how it would be to see your Facebook profile in Google's first result page when people searches for your name? By adding targeted keywords in your bio, you can increase the raking of your profile in various search engines like Google, Yahoo! and Bing. Also read: How to index and de-index your Facebook profile in Google. Let people know more about you - Your friends and family members already knows everything about you. There is no need to introduce yourself. But for other people, you are completely unknown. That's why bio is important and it can help other people to know you better. Here are 8 tips to create an awesome and eye-catching bio for your Facebook profile. Follow the right pattern - What are the basic elements of bio? You have to write everything in an organized way and only then it will look professional. First you can start by highlighting your main profession. For example, the first line could be "Vivek Chaudhary is a professional blogger". Next, you can write about yourself like your early life, education, achievements, goals and professional life. Don't make it personal. Keep it short - In case of Twitter, we have a word limit of 160 characters which may not be enough to describe someone. But in Facebook, there is no such restriction. You can extend your bio to any length. That's great but short bio is considered more better. People don't have enough time to read your long bio. So keep it short, simple, unique and to the point. The ideal length would be less than 250 characters. Read other professionals bio - Copying someone's bio isn't a good idea. But you can read other professionals bio to create a rough blueprint in your mind. See how they present themselves and find out which pattern they follow. Note down all the attractive keywords and then craft your own unique bio. Wikipedia and Twitter are other sources from where you can find professional formats for your bio. Target your audience - While writing a bio for your Facebook profile, you should keep the audience in your mind. It would be pointless to give a presentation on technology to farmers. In the same way, your readers will lose interest in your bio if they will not find what they are looking for. Add proper values in it and don't just stick to professional look only, instead add some funny, emotional and personal taste as well. Add targeted keywords - Your Facebook profile is indexed in all popular search engines by default including Yahoo and Google. If you wants to rank higher in search result pages, then add proper keywords in your bio. For example, you can add your name, website, company and other basic details. Don't use same keywords repeatedly, otherwise it will look spam. Write in the third person - Everything you write in your bio should be written in the third person. To look more professional, you have to act like if someone else is writing your bio. For example, you can write "Vivek Chaudhary is a professional blogger", rather than "I am a professional blogger". It should be formal, not informal. Avoid using words like I & me, instead use he/she or your name. Add your contact information - Make sure to add your website and email address at the end. As it's public place, so don't share your private mobile number or email address. You can add a tagline like this: "For more information, please contact or mail at [your email address here]". You can also add your Twitter or Instagram username. Update it time to time - Nothing is perfect. As person grows, his skills, education, goals and achievements will also change. You should keep your bio up-to-data. Regularly check it and ask yourself whether it still describes you or not. There is no need to change bio format. All you need to do is, just update the information. Bio is a great way to tell people about yourself. You can create your own image the way you wants. If you have more cool ideas in your mind, please do share them in the below comment box.